CENSORSHIP and the assault on human rights and freedom of expression in Fiji are featured in the latest edition of Pacific Journalism Review being launched at the NZ on Air diversity conference in New Zealand this week. The AUT Pacific Media Centre-based publication, New Zealand's only peer-reviewed international media research journal, publishes a special article by an "insider" on the military regime's political and social "reforms". 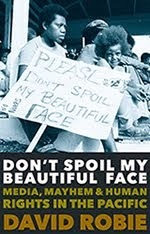 The 246-page edition, themed around "Diversity, identity and the media" issues, analyses the junta that has dealt an unprecedented "mortal blow" to press freedom in the South Pacific's most crucial country for regional cooperation. The insider article, "Fragments from a Fiji coup diary", concludes that the New Zealand government needs to have secret contacts with the Suva regime to help investigate corruption and to help restore the country on the road towards democracy. In other commentaries, Dr Murray Masterton analyses "culture clash" problems facing foreign correspondents and warns against arrogance by Western journalists when reporting the region. Television New Zealand's Sandra Kailahi examines the Pasifika media and Scoop co-editor Selwyn Manning looks at strategic directions in Asia-Pacific geopolitical reporting. 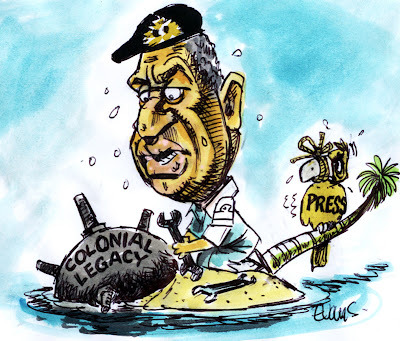 Malcolm Evans contributes a frothy profile of global political cartooning - and also the cover caricature of Fiji's military strongman Commodore Voreqe Bainimarama. 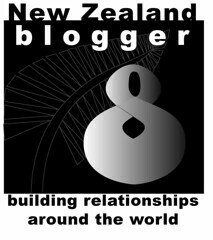 Research articles include demographics and independent cross-cultural reporting, media diversity and a NZ Human Rights Commission seminar, the "Asian Angst" controversy and xenophobia over Chinese migration, a Lake Taupo air space media case study, the Clydesdale report deconstructed and New Zealand women's magazines and gossip. Bill Rosenberg provides the second of two annual New Zealand media ownership and trends surveys compiled for PJR. "This edition provides some challenging and fresh insights into diversity reporting in New Zealand, from Fiji to Asian stereotypes," says the managing editor, Associate Professor David Robie. "But it also celebrates some important achievements." 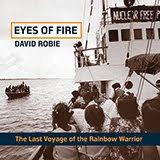 A strong review section includes books about the dark side of the pro-independence movement and media in Tonga, terrorism and e-policies in the Asia-Pacific region, conflict reporting, the making of a US president, editing and design in New Zealand and an extraordinary dissident Burmese political cartoonist.